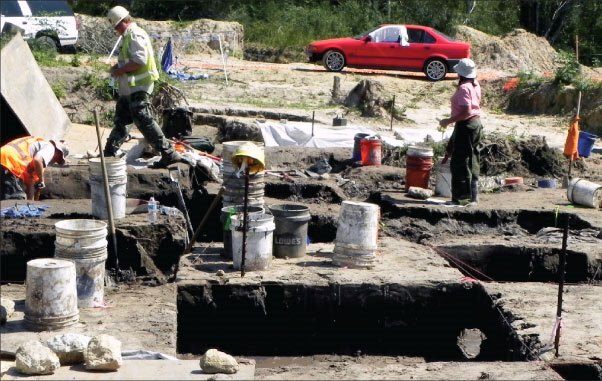 In the summer of 2012 the Texas Department of Transportation unearthed 10 separate burial sites while constructing an extension of the Grand Parkway Segment E in northwest Harris County. By law TxDOT was required to notify county officials about this discovery. Archeologists estimated the interments took place between 8,000 and 14,000 years ago, making them one of the oldest intentional multiple human burial sites in North America. The deceased were carefully placed in the graves and had various objects laid beside them. TxDOT filed an application to remove the remains and reinter them elsewhere. However, Native Americans opposed this solution as defiling the site’s cultural and religious significance. Thankfully a compromise was reached. All parties agreed the solution was to cover the excavated area with concrete, making it a permanent burial site.